Latin American governments have a strong presence in Antarctica, with two countries, Argentina and Chile, formally claiming Antarctic territories while several others carry out annual scientific expeditions (apart from having research bases there). Regional navies are of paramount importance in these operations as they are the spearhead of their respective nations’ expeditions and security initiatives in Antarctic waters. In fact, in recent months, there have been new developments that signal a greater Latin American naval presence in the Antarctic in the near future: Peru has commissioned its new oceanographic vessel while Chile has commenced the construction of a new icebreaker. 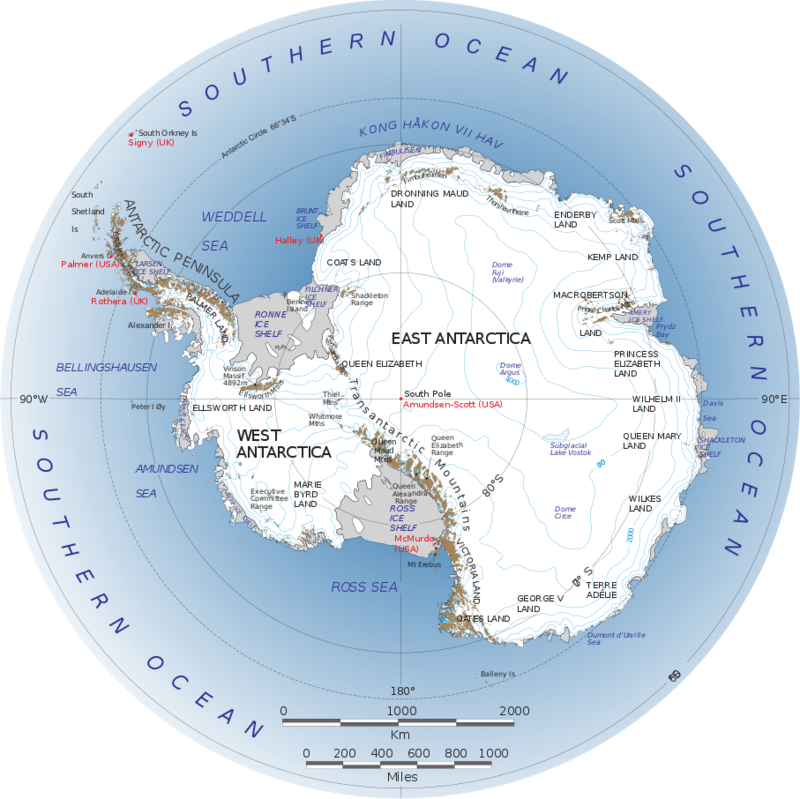 Antarctic geopolitics will only increase in importance due to climate change and the upcoming year 2048 when the Antarctic Treaty will be open for review. Hence it is important that Latin America, broadly speaking, takes steps to maintain a continuous presence in Antarctica in order to have a voice when the frozen continent’s future is decided. 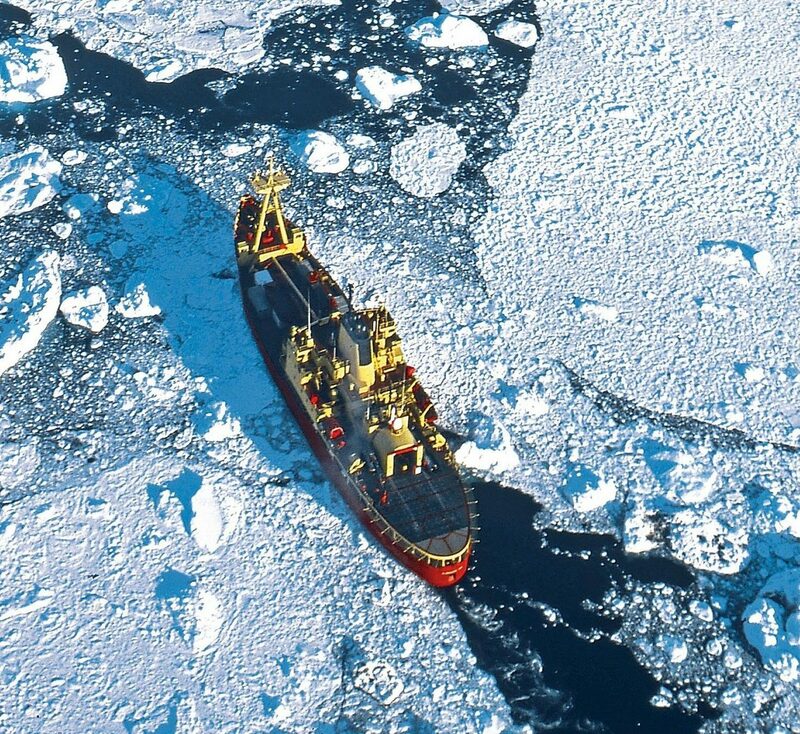 Increasing budgets in order to modernize or replace aging vessels and expanding already successful scientific and security programs will play a critical role in regional navies’ future Antarctic operations. The importance of Antarctica in Latin American security and defense strategies, as well as more comprehensive foreign policy concepts, cannot be overemphasized. One example of this is Antarctica’s frequent and prominent mentions in regional White Papers. For example, Argentina’s 2015 White Book repeatedly references Antarctica, and explains how “the Ministry of Defense considers of the upmost importance the upgrade [of military platforms] necessary for the scientific development, international cooperation and preservation of the Antarctic environment” (P. 43). Similarly Peru’s 2005 White Book mentions how the “Ministry of Defense, via the armed forces, has a fundamental role in the logistical support and the scientific research that encompasses the Peruvian presence in Antarctica” (P.42). Finally, Chile’s 2010 White Book has an extensive chapter on the Chilean Antarctic, explaining how the armed forces aim to “have a permanent presence, even during winter, in the Antarctic continent and its islands” and to carry out oceanographic scientific research in the region (P. 51 & 52). These three different White Books exemplify Latin American nations’ interests in having a strong Antarctic presence and how militaries, particularly navies, are regarded as the tip of the spear of Antarctic operations. Argentina and Chile possess several platforms that operate in Antarctic waters for expeditions, patrols, and to support their Antarctic bases. Argentina has the icebreaker ARA Almirante Irízar (Q5) and in 2014, Buenos Aires acquired four Russian Neftegaz-class multipurpose vessels to support its Antarctic bases. Meanwhile, Chile has the icebreaker Almirante Oscar Viel (AP46), and several other vessels capable of operating in Antarctic waters. Additionally, the two countries set aside their differences—overlapping territorial claims in the Antarctic—to create the Joint Antarctic Naval Patrol (Patrulla Antártica Naval Combinada: PANC) in 1998. Via the PANC, naval platforms from the two countries come together during the Antarctic Summer months (November-March) to patrol Antarctic waters, assist vessels in need (e.g. the tourist vessel M/V Explorer in 2007), respond to oil spills, and visit and support various bases. The PANC’s navies pride themselves on being prepared to safeguard the lives of those who work in and travel to the region, and are prepared for search and rescue missions along with other various emergencies at sea. The creation and success of the PANC should not be underestimated as it exemplifies the possibilities of collaborative naval efforts in the Antarctic. It is worth stressing that neither PANC country is a military power, and they do not have the same naval capabilities as some of their wealthier Antarctic counterparts, thus putting them at a great disadvantage (especially when considering each nation’s capabilities alone). 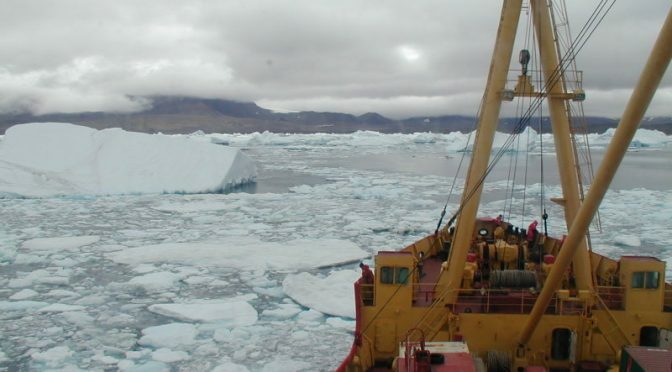 However, despite the older vessels in their fleets, their partnership over the past two decades has proven to be effective both to patrol Antarctic waters, and also as a confidence-building mechanism. Non-claimant nations also have important Antarctic programs. Peru, for example, recently received BAP Carrasco (BOP171), constructed by the Spanish Freire shipyard in 2016. Jane’s 360 explains that “the steel-hulled ship has a length of 95.9 m, a 6,000-tonne displacement, has a streamlined and raked superstructure with a meteorological sensor platform at the forward end,” which will be of great help for Peru’s future operations in the Antarctic. In addition, Brazil has a varied presence in the region that consists of the Almirante Maximiano (H-41), an ice breaker, the Ary Rongel (H-44), an oceanographic support ship, and several C-130 Brazilian Air Force (FAB) aircraft that are utilized to transport essential equipment and personnel to the Brazilian Antarctic Program (PROANTAR) facilities. Regarding Chile, it has commenced the construction of a brand-new icebreaker as part of its Antarctica I project. Thanks to information provided to the authors by ASMAR, (Astilleros y Maestranzas de la Armada) Chile’s state-owned shipyard that has partnered with the Chilean Navy since 1895, we know that the new platform, an over $210 million project, will be capable of longer Antarctic missions in part due to its design which allows it to operate at temperatures as low as -30 Celsius. Additionally, the icebreaker will be equipped with modern, state-of-the-art scientific equipment in its microbiological and chemical laboratories. Construction commenced on 9 May at ASMAR’s Talcahuano facilities. The new vessel will be operational by the 2022-2023 season, and will greatly support Chile’s Antarctic operations. As for Colombia, the navy has refitted one of its oceanic patrol vessels, ARC 20 de Julio (PZE-46), so it can better operate in Antarctic conditions. The vessel has already carried out two expeditions. Uruguay’s presence in Antarctica since 1985 is also worth noting. The ROU 26 Vanguardia is the small South American country’s primary platform used for scientific research and to support Base Artigas and Station Ruperto Elichiribehety. The Vanguardia, named Otto Von Guericke at the time of its construction, was built in Poland for East Germany in 1976. The vessel was purchased by Montevideo in 1991 and was then given its current name. It has a length of 72.62 m, displaces 1872 tons, and a maximum speed of 14.5 knots. Other ships that participate in the country’s Antarctic activities are ROU 04 Artigas and ROU 22 Oyarvide. Unlike the PANC, which focuses on patrolling and safety activities, Uruguay’s main operations in the continent take place via the Uruguayan Antarctic Institute, a national agency under the supervision of the Ministry of Defense that focuses on scientific, technological, and logistic activities. Finally, it is worth stressing the general spirit of camaraderie in the Antarctic among South American navies. The PANC is a security-related initiative of two navies coming together in spite of historical differences and ongoing territorial claims in the Antarctic. Similarly, Uruguay has shared the results of some scientific studies with Chile and Argentina. In addition, Uruguay’s Mobile Marine Meteorological Station Project (Proyecto Estacion Meterologica Movil Marina) is an ongoing project that provides real-time information such as wind direction and speed, atmospheric and barometric pressure; and wave period, height, and type to Argentine and Chilean stations. This is a prime example of Latin American navies and scientific centers coming together to build upon each other’s successes in Antarctica. While the aforementioned developments clearly demonstrate how Latin American navies are growing Antarctic capabilities, they should not be overestimated as there are also troubling shortcomings, particularly due to budget issues. For example, while Argentina’s icebreaker Irízar recently commenced sea trials and will likely return to operational duty by the 2017-2018 season, it has taken a decade-long reconstruction effort to repair the platform after it was ravaged by a fire in 2007. Similarly, budget issues have affected Argentina’s recent Antarctic operations, best exemplified by the recent summer 2016- 2017 season, in which the government had trouble figuring out how to resupply its Antarctic bases. As for other nations, platforms that are too old to continue operating safely are eventually replaced by other vessels, which is not the same as expanding a fleet in terms of numbers. For example, Peru’s Carrasco will replace BIC Humboldt, which was constructed in the late 1970s and has gone through extensive overhauls to extend its operational life. 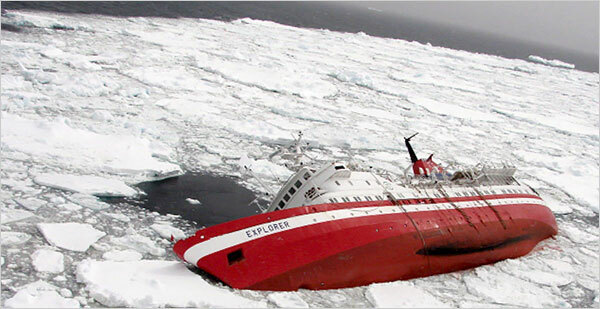 Similarly, the new Chilean icebreaker will replace Viel, which was constructed in the late 1960s. Other naval platforms utilized for Antarctic operations, including the PANC, will soon become outdated. For example, Chile deployed ATF Lautaro (67) to the 2016-2017 PANC mission, a vessel constructed in 1973, while Argentina deployed ARA Islas Malvinas (A24), constructed in the 1980s. While replacement platforms are always welcome, expanding fleets by acquiring newly constructed ships would be more practical as their operational lives would last much longer than repurposed, older vessels. The aforementioned Argentine Almirante Irízar illustrates the benefits of a stronger commitment by regional states toward their Antarctic programs, including their naval platforms. While its post-fire reconstruction was extensive and lengthy, the Argentine government’s investment has made the vessel one of the 10 biggest icebreakers in the world, as well as one of the most capable. In a recent navigational test, the ship surpassed expectations, and showed no signs of the various previous problems it had when it first made its way to the Antarctic from Finland in 1978. Not only does the ship have improved navigation capabilities, but it is also now multipurpose, housing eight top-of-the-line scientific laboratories, and an overall scientific investigation sector six times larger than that of its original construction. Despite the lengthy timeline of the repair, the Argentine government’s decision to allocate scarce resources in revamping the Irizar is a Cinderella Story of sorts, as it exemplifies the benefits that could come from a bigger budget committed to Antarctic maritime operations. Obtaining a new vessel would have probably taken less time than repairing the Irizar, nevertheless, if reports are to be believed, this modernized vessel will be of great help for Argentina’s Antarctic operations for the foreseeable future. Navies are usually viewed through the prism of defense and security; however they also play a critical role in Antarctic programs. Certainly other military services, government departments, and scientific institutions are other necessary pillars of any vibrant and robust Antarctic program, but navies are a sort of spearhead as they employ the primary platforms that deploy to this frozen continent. Hence it comes as no surprise that navies are prominently mentioned in the White Papers of several regional countries regarding Antarctic operations as they are engaged in various operations ranging from scientific activities to providing emergency assistance. Countries like Peru and Chile are working on obtaining new platforms for Antarctic use while Colombia has refitted one of its navy’s vessels for these operations. Meanwhile, the Argentine and Chilean navies have come together to create a joint Antarctic naval patrol that has helped vessels and Antarctic bases in need. Finally, Uruguay’s scientific program and projects are also notable as they provide data that allows the multifaceted work of the Latin American countries in the region to continue operations safely and effectively. The importance of Arctic and Antarctic geopolitics will increase due to climate change and the approaching year 2048, when the Antarctic Treaty is up for revision. The modernization of polar-capable vessels, such as Argentina’s Alimirante Irizar, if not the acquisition of newer ones like Peru’s Carrasco, will help Latin American navies increase the reliability and projection of already successful missions in Antarctica thereby fortifying Latin America’s presence and increasing its voice in regards to the future of the frozen continent. For further info, see: “Reinvigorating Peru’s role in Antarctic geopolitics” (The Polar Journal, 2015) and “Argentina, Chile and the Joint Antarctic Naval Patrol: a successful confidence building mechanism” (The Polar Journal, 2017). Brittney J. Figueroa is a recent graduate from the University of California, Santa Barbara with a Bachelors degree in Global Studies, and a Minor in Latin American Iberian Studies. The views presented in this essay are the sole responsibility of the authors and do not necessarily reflect those of any institutions with which the authors are associated. Previous PostBeijing’s Views on Norms in Cyberspace and Cyber Warfare Strategy Pt. 1Next PostSea Control 138: CAPT Klaus Mommsen (ret.) on Russia’s Navy: Potemkin or Power Projection? Hola Heather, thanks for your comment! I meant that neither country are global military powers in the sense of having massive fleets, carriers etc. We probably should have added “global.” The idea was to stress that even (somewhat) small navies with aging vessels (particularly the AR navy) have managed to achieve much in terms of Antarctic security, search and rescue operations etc.